Well then, you came to right place. 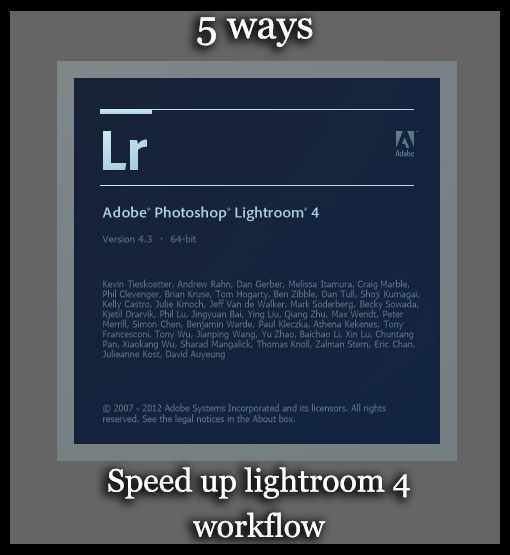 These are 5 basic ways to improve your Lightroom worflow speed. Instead of giving ways that you will only use probably once in your lifetime, I decided to give the major 5 that will come in handy forever. Your going to like this so much, everytime you process your photographs, you’ll use every single step.